Atlantic City Babysitting is the service you need! Atlantic City Babysitting with Sitters at the Shore is a premier sitting service. When parents vacation in Atlantic City, calling a babysitting service for a parent’s night out is ideal. Parents are comforted knowing that for the past 20 years. Atlantic City Babysitting with Sitters at the Shore has been the business to call upon. Sitters are ready, willing and able to care for children of all ages at any time. Just give a call or book online an Atlantic City babysitter and you will be one of the many families calling every visit! The appeal of the bright lights, sizzling nightlife and world-class casino gaming along the beach draws millions of visitors to Atlantic City. There are plenty of lodging options available from luxury hotels to smaller motels and lots of fun for not only the parents but kids too. The world famous Steel Pier extends 1,000 feet over the Atlantic Ocean, providing the best view of the ocean. The Pier now features 25 kiddie and extreme rides, games, food stands and live entertainment. Along with the boardwalk mall, outlet stores. Take the kids to the Rain Forest Cafe, the Marine Mammal Center and Museum, the AC Aquarium, or the Ripley’s Believe-it-or-not Museum. With 1,753 hotel rooms, 21 restaurants, 6 lounges, 2 pools, 2 spas, and 14 shops along with 220,000 square feet of family areas, a theater and convention facilities, parents can have a blast while we watch the kids. Book your sitter for Bally’s here. 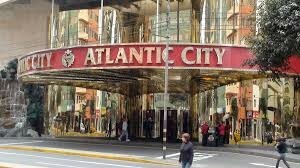 Designed in an Italian Style decor, they offer 2,000 guest rooms, a world class spa, 12 restaurants, 11 shops, 161,00 square feet of gambling space and the largest poker room in AC, parents want to spend some extra time here without the kids, so let sitter take over! Book your sitter for the Borgata here. This Ancient Rome-themed casino has 145,000 square feet of casino floor along with a rooftop pool spa, and is adjacent to the pier shops. This is a favorite for all! Book your sitter for Caesars here. 740 rooms, a luxury spa and salon, poolside lounge, stylish retail and restaurants: this gem will meet your fancy and we will meet you there to sit for the kids while you enjoy! Book your sitter for the Golden Nugget here. Stay in one of their 2,590 rooms, play on their 147,000 square feet of casino floor, enjoy their world renowned spa, along with waterfront shops, pool and restaurants. This place is hopping! Book your sitter for Harrah’s here. With 942 hotel rooms in two hotel towers, it’s home to a tropical feel like Margaritaville. Fine dining, spa and so much more. Check it out while our sitters entertain your little ones. Book your sitter for the Resorts here. The largest hotel with 2,078 rooms and 147,000 square feet of gaming space. With its shopping and dining establishments, its fun indoor area which includes the Imax theater and comedy club, there’s lots of fun for sitters to do with with the kids. Book your sitter for the Tropicana here. The Courtyard of Marriot is another non-casino option, conveniently located one block from the beach and historic Boardwalk. The Claridge is yet another historic landmark that became a non-casino. Check out their art museum across from the lobby. The Sheridan next to the convention center is convenient for those group meeting members and conventioneers. Atlantic City Babysitting is the service you need! Enjoy your time while in Atlantic City shopping at The Pier at Caesars, featuring elite shopping retailers from Tiffany & Co. , Burberry to Louis Vuitton and Victoria’s Secret. The Tanger Outlets is another great shopping area it encompasses 15-city blocks. With such a wide array of incredible food options, dining in Atlantic City is a delicious multi-culinary experience. Delicious dining abounds with options from Bobby Flay, Wolfang Puck, Carmine’s, Cuba Libra, and so many more….. Luxury spas in Atlantic City are destinations you won’t want to miss. Indulge at our favorite, Elizabeth Arden’s Red Door Spa and other casino spas. Go out and enjoy Atlantic City with Atlantic City Babysitting Sitters at the Shore! View our rates , book today or contact us with your questions.